of Project engineer/ Supervisor. Online application form is invited from dedicated and goal oriented job finders on or before final date for available chance of recruitment. Dynamic participants who are eligible for these positions they need to visit the official website of this of department and then follow the steps to deposit the form for offered posts. Dear applicants for the selection prepare for test and face to face viva voice to do job in Bangalore. Before apply you are advised to check skills then proceed further. Complete overview of applying lines and way for BHEL Recruitment is declared below by the team members of ejobhub for the visitors of this portal to help them. All candidates should read about the applying method and submit checked form on or before Last Date. Other dynamic jobs chances in government projects can be obtained by visiting the official website of department that www.bheledn.com. In addition to this you can also use this post to get other new public sector jobs. All the best! Project Engineer: BE/B Tech in the field of Electrical / Electronics / Telecommunication / Instrumentation / Civil/ Mechanical with at least 60% marks (50% for SC/ST) in aggregate. Supervisor: Diploma in the field of Electrical / Electronics / Telecommunication / Instrumentation /Mechanical / Civil with at least 60% marks (50% for SC/ST) in aggregate. Age Limit: Age of the candidates should not be more than 33 years as on the date of receipt. Reservation for Persons with Disability and Ex-servicemen will be as per Govt. Directives. Reservation and Relaxation for Ex-Servicemen will be as per extant Govt. Rules. Fees to Apply: Contenders will have to pay an application fees (non-refundable) Rs.200/- to be paid online through SBI Collect. Any other mode of payment i.e. Demand Draft, Money Order, Postal Order, Cheque, etc. is NOT acceptable. If the number of eligible applicants for a post is in the ratio of up to 1:10 to the number of vacancies, Personal Interviews shall be conducted for all the eligible candidates. At first enter on the link of “Careers” mention on the home page. After reading complete details enter on “Apply Online” ink. Bharat Heavy Electricals Limited invites applications for fill up of large no. of vacancies for many different positions & posts. Willing and excited candidates may send their duly filled and sealed application forms before final date for BHEL Recruitment. All immense ambitious & long term goals settled job seekers may apply for issued posts only in predetermined application format and be eligible for written exam and then present for interview as will be notified in publication of new advertisement. Hey dear applicants for more details related to other query see the under given information and also go to website of Bharat Heavy Electricals Limited @ www.bhel.com. Bharat Heavy Electricals Limited (BHEL) declares the publication for BHEL jobs time to time. In this page eligible criterion is showing especially for Engineers through Exam. BHEL exam will be scheduled probably as soon as possible. For entire details such as education, age limit and exam date, selection process move your eyes with curious nature at below given information of BHEL Recruitment. Educational Qualification and Age Limit for BHEL: Candidate must be ITI, MBA, and MCA & Diploma Engineers from any recognized institute / university affiliated with UPSC / AICTE. Candidates’ upper age limit to apply is 27 Years. SC/ST candidates will allow by 5 years relaxation in age at on applying date. Candidates who will complete Master Degree in Engineering or Business Administration / Management (MBA) may apply at max 29 years of age limit. There is simple process of hiring which is followed by held a written exam and then cut off marks obtain candidates will join their competitors in interview few days after result. Pass out job seekers will sit upon the dream chair of career prospect. 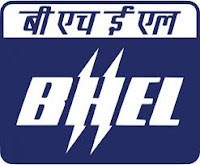 Career in BHEL: Dear job seekers if you are looking for a job in a company who is the choice of mostly aspirants then Bharat Heavy Electricals Limited (BHEL) is there for such electrifying aspirants. Applicants can apply directly in this company or may be recruited through campus drive. Eligible and talented job fighters who are on this web page right now need to read content delivered here. Open-minded candidates are suggested that grab all the openings announced by BHEL. Technical, medical, management and many other fields’ career scope is ready in BHEL for the aspirants. Application form may be submit for any job through online/ offline mode as per requirement according to the situation. Hey guys this is the most general question which comes in the mind of aspirants again and again that how you can make career in BHEL. Now ejobshub is brought to you this article to state the content related to make career in BHEL. Hey aspirants if you sure that you are fit and suitable for the post issued by BHEL then you can send application form via appropriate mode. Keen desired candidates who possess relevant and necessary qualification keep continue reading this web page to avail more such chances in all possible fields. The specialization of this company is in to make heavy machineries to run many organizations successfully. Salary benefit of the BHEL is also one of the most magnetic effect that attracts job seekers towards this organization. How to Apply? Qualified applicants first of all need to download application from the official website of BHEL which is www.bhel.com. After download the application form fill this application carefully with necessary details, stick latest passport size snap, all original documents with attested copies along with attested signature and super scribe the name of the post for which you are applying on the envelope as “Application for _________” and send it along with all relevant certificates copies, to demanded address before deadline. Important Dates: Dear candidates application will not be accept after Last date of receiving the application. Closing date will be differ for far flung areas and normal distance. At least one week difference will in both dates. Dear aspirants apart from these posts if you need latest jobs soon then keep visiting our web portal named ejobhub. Dear applicants if you are looking to join BHEL then you need to know ‘Way to Make Career in BHEL’. All the applicants are said that there are two ways for the selection in Bharat Heavy Electricals Limited (BHEL). BHEL hires nearly a thousand engineering graduates each year. Majority are through open selection, only a small number, usually between two fifty and three hundred, are taken from campuses. All the job seekers are free to join any way of recruitment from Open Selection and Campus Recruitment method. Bharat Heavy Electricals Limited owned by Government of India, is a power plant equipment manufacturer and operates as engineering and manufacturing company based in New Delhi, India. The open selection process starts in the month of August or September. BHEL declares advertisement in Employment News as well as on its recruitment website to announce the openings. BHEL only considers applications of those who have completed their engineering degree in Mechanical, Electrical and Electronics. On some special occasions the company has advertised for Civil Engineers, as well. Company conduct recruitment process every year to select new candidates. It can also select candidates through GATE exam. The selection process of the company consists of 3 rounds. Once the application is filled up, the applicant is given an admit card, which can be downloaded from the website. The technical part is further split into two, half of the questions in this paper are on general engineering concepts and the other half on specific engineering disciplines. In the interview, candidates are assessed for their communication skills, general personality and technical knowledge. Purchase books for test and study at least 6 to 8 hours daily. For the better results and latest updates of BHEL recruitment notices keep reading the pages uploaded on the home page of ejobhub. For superviser trainee (finance) post BBM graduates can apply? Is there any openings for Diploma in mechanical engineering? Is there any openings in BHEL Ranipet for Network Engineer with B.E( E.C.E) graduate with 2 years experience In networking ? is there any job for BE mech. last year students ?